To live “a lo cubano” is to drink cup after cup of strong, sweet coffee. No day starts without it, and nowhere is that truer than in Havana, the island nation’s capital city. 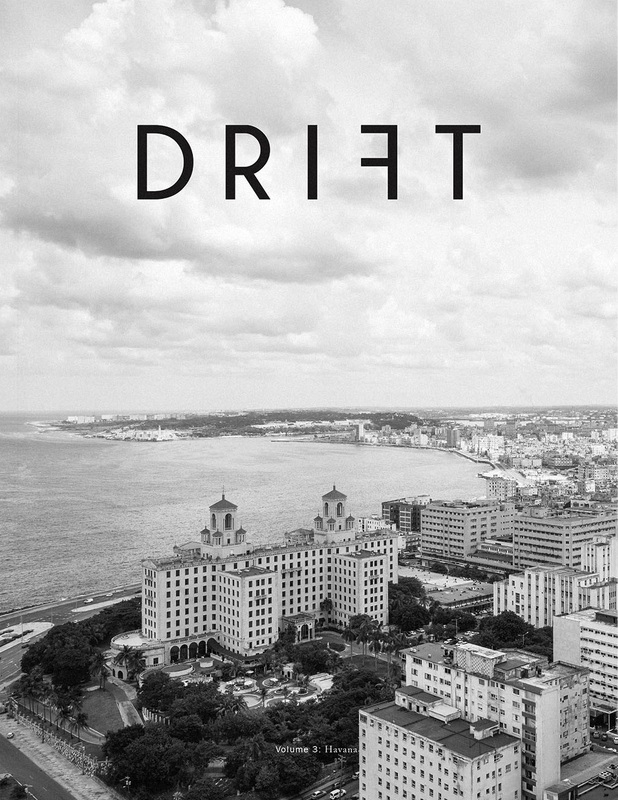 Volume 3 of Drift magazine tells the story of what it’s like to drink coffee in Havana—past and present, at home and in cafes, according to locals and extranjeros—in a city on the edge of change. The third issue of this exciting new magazine takes us to Havana, as we share thermoses of scarce coffee stretched with powdered peas, tinker with Italian espresso machines in disrepair, meet a band that performs alongside the sound of grinding beans, and get familiar with international power players itching to break into a coffee-growing, coffee-guzzling country on the brink of change. ééVolume 3 is about what it’s like to drink coffee in Havana, past and present, a palm tree-packed tropical city with as much gusto as the coffee it offers.